100 years ago, the Titanic sunk like a certain Shah Rukh movie. 90 years later, James Cameroon make a ton of money by making the biggest blockbuster at the turn of the last century. Today, he is preparing to sell old wine in new bottle. But honestly, does the Titanic really get any more grandiose in 3D than it was in 2D? Presumably, the scenes at the climax where the ship breaks in half have been left unchanged but much of the remaining part of the movie has been made a cinematic notch higher. After all, one of the greatest love stories of the last century has to be experienced in a theater rather than at home. 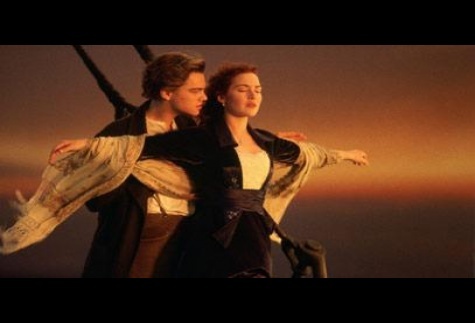 Titanic 2D was never meant to be screened in your VCR or even your home theater, and so is Titanic 3D. While Titanic 3D is surely every bit as real as you can get minus the hole in the pocket and the disaster, I am not sure if I'll want to film makers redoing their greatest epics in 3D. James Cameroon could have made an entirely new movie out of the money he spent in redoing the Titanic, but if the movie does (and most probably will) get the cash registers ringing, then he's hit the jackpot. But why stop at 3D? Where viewers will be able to feel and smell everything that actors in the movie does in a 4D, you could soon have that sinking feeling. So, can we really review a movie as good as the Titanic? Supposedly no. An epic as fine as this is something you definitely need to see, even if it isn't for the 'now' mediocre acting of Leo or Kate. Even if you already know how the movie ends, and even if you know how basic some of the special effects now seem. Titanic 3D is surely one movie that you must watch in a theater.